Click here to watch our fantastic Highlights of 2010 video and a big thank you to the kids for producing it. I can not tell you how much I have enjoyed being your MP so far. Thank you to everyone who has helped and supported me to get this far - I could'nt have done it without you all. Merry Christmas!! - and don't forget to check out the video! To help us communicate with you, we've launched a new local website. You’ll be able to find the latest news, campaigns and photographs from the Hexham Constituency area. Over the coming weeks and months we'll be adding more features so we’re keen to hear your feedback. And to stay in the loop, don’t forget to sign-up to our newsletter. What do we make of Branson's comments? Richard Branson has previously described some young British entrepreneurs 'overeducated'. I wonder, does he have a point? Do we put too much focus on Alevels and University degrees and not enough on work, 'on the job' training and a passion for business? Undoubtedly a surprising number of some of the worlds most impressive businessmen are 'drop outs', including Apple co-founder Steve Jobs and Microsoft's Bill Gates and Paul Allen. Simon Cowell left school at 16 and Lord Sugars story is well known one. There is no question there is a huge value in 'learning' and academia but I do wonder if we are lacking a key element in our education system that pushes young people to take that leap into business, getting hands on and really using that passion to become entrepreneurs of the future? What do you think? Its a really interesting debate I hope to look at in more detail come the New Year. Education Secretary Michael Gove has agreed to continue funding the schools sports partnership system. Michael had his team had been looking to orginally try and save some of the money but have since reconsidered how best we work towards encouraging more children into competitive sport. I've been working with my two local SSP coordinators and I'm sure they will be very pleased by the news. Michael has said: "I want competitive sport to be at the centre of a truly rounded education that all schools offer. But this must be led by schools and parents, not by top-down policies from Whitehall," Gove said. "It's time to ensure what was best in school sport partnerships around the country is fully embedded and move forward to a system where schools and parents are delivering on sports with competition at the heart. "This will take some time and I'm pleased to be able to confirm some funding for school sports partnerships during this transition. But I'm looking to PE teachers to embed sport and put more emphasis on competitions for more pupils in their own schools, and to continue to help the teachers in local primary schools do the same,"
More poor weather in the region with snow causing huge problems on the A1 last night and further delays for commuters out of Newcastle Central Station. Thanks for everyone who has let me know what conditions are like in their patch. Seems like the main roads are fairly ok but as ever its the rural access roads and estate roads causing the problems in our area. GUEST POST: The Big Society? The Big Society is more than just volunteering – it’s about going above and beyond what is necessary. In the last fifty years, our society has changed to become more individualistic, and while in many ways this has been a boon, it does mean that we have become increasingly separated from those around us. The Big Society aims to reverse this change – instead of work- or web-based communities, working to reintroduce people to their own neighbourhoods and remotivate people to do things for each other without a tangible reward – where the reward for helping somebody out is simply the knowledge that you’ve done a good thing. It’s not a new idea, not a revolutionary concept, but it is one that will take some readjustment. During a general election fought mostly around the economy, and with Gordon Brown’s faltering hold on the government under necessary scrutiny, the Big Society remained a background issue, albeit one that has already proved popular in our local communities. However, the media reports what sells and what is easy, and so the ideas of the Big Society have remained somewhat unclear in the minds of many. Let me try to offer my own definition; the Big Society is community. Unite general secretary Len McCluskey took to the pages of the Guardian yesterday not to spell out his program for representing members in the workplace, but instead to tell how he was "preparing for battle" over the Governments policy agenda. I believe Unions have a role to play in society. However Union leaders must always remember that people have the opportunity to vote for their political leaders and indeed their polices. Is it really the job of unelected* Union leaders to be preparing to fight the Government on its whole agenda? I can't help thinking the rhetoric of Union leaders like Mr McCluskey, who seem excited by a return to the battles of the 1980's, does so little to help their members. Does he really believe his members want to see the current welfare state go unreformed?, our industry continually burdened by tax and red tape? or that they want to see their Unions more interested in overthrowing the Government than representing their individual interests? It is a good indication that a Union leader is losing touch when the Editorial of the proudly left-wing Guardian newspaper warns against following "Mr McCluskey up the blind alley of deficit denial, indiscriminate opposition to all cuts, and a programme of strikes which large parts of the country will see as an attack on rather than a defence of the public realm." I hope fellow Union leaders spend more time seeking a sensible dialogue with the Government to represent workers interests, rather than trying to turn back time to 1979. Have spent the weekend recovering from Man Flu but delighted that Tony McCoy - who I know a little - won the Sports Personality of the Year. It could not be better news!! Can you help in Oldham and Saddleworth? The by-election for Oldham and Saddleworth has now been officially called and Kashif Ali is the Conservative candidate in Oldham East and Saddleworth. Kashif was our candidate in the General Election, and the hard work of him and his local team helped turn this seat into a genuine three horse race with just 2400 votes in it. Now he needs our help. His team are already working hard knocking on doors and delivering leaflets and I'll be taking down my own team to help out. I love the NHS. I owe my life to it. If it wasn't for the excellent NHS Doctors and Nurses who helped me after a very nasty fall as a jockey I wouldn't be here full stop - nevermind be an MP. I'm proud this Government is committed to increasing NHS spending every year, by around £10.6 billion over the Spending Review period. Never forget Labour said they would CUT funding to the NHS - despite what Ed and Co may try and spin now. However in order to meet the ever rising demands from our Health Service, such as the issue of dementia care which is seeing a dramatic rise, we must make sure every penny counts for patients. That means cutting out waste, reducing bureaucracy and simplifying NHS structures so that more of the protected NHS budget can be invested into frontline care. In the New Year the Government will bring forward the NHS Bill which will set out some clear changes for the NHS: making it more responsive and more patient-centred with outcomes that should rival the best in the world. Do you love our NHS? Let me know, and join in the debate on my facebook page. 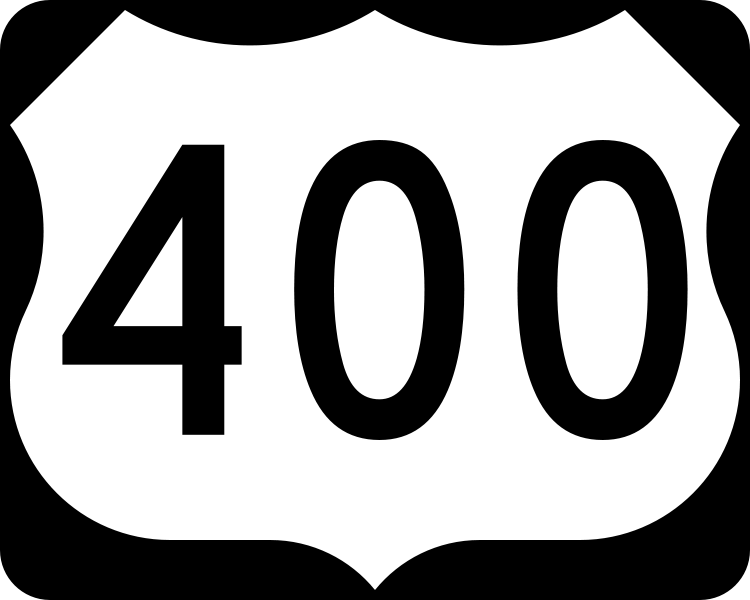 Another mile stone for the blog today, with more than 400 posts published since the blog began. The blog is something I'm really proud of; helping me reach constituents, offering my opinion so people know where I stand on the issues, highlighting our Social Action projects, Association activities and campaigning, community events, Big Society Projects, aswell as featuring interesting Guest posts and of course the the work of our fantastic young volunteers! One of my first visits when I first became an MP was to HMP Durham. The prison staff there work incredibly hard. It's a priority for me as I've long been a champion of prison reform. The biggest failure of the current prison system is reoffending. Prison is there to punish of course, but is the public really getting a good deal when almost half of those sent to prison will go onto commit another crime within just 12 months of being release? I strongly believe we need a system which puts victims first and key to that is giving the victim some confidence the crime will not go on to repeated. We can only do this by tackling reoffending rates. Justice secretary Ken Clarke has some powerful ideas to change the way prison works. Firstly instilling a disciplined routine of work and education from prisoners. The second being to make sure we tackle rather than ignore the underlining reasons why prisoners reoffend; so often drugs, alcohol or mental health issues. Ken is also looking at how we can better use rigorous community sentences help build up the skills of offenders whilst making sure they provide meaningful contributions to the community. 71% of those sent to prison for 6 months or less reoffend within two years, that compares to 30% of those who receive community orders. The answer to reforming our prison system and cutting reoffending is a complicated one. However I strongly believe that in focusing on tackling mental health, drug and alcohol dependency, and adult literacy, with a focus on work, skills and restorative justice, we may just make some real progress. Over the tenure of the previous government the Home Office garnered new power after new power and constantly increased bureaucracy. The introduction of elected Police Commissioners is a radical and significant move away from this; one which marks a shift of power from the corridors of the Home Office into the hands of the public. Elected Police Commissioners, with a clear and deliberate mandate from the public will be able hold police forces to account for their successes, and indeed failures, in cutting crime and anti-social behaviour in their area. These moves are key to our agenda of decentralising power from Whitehall and handing power back to the public. I think elected Police Commissioners have the potential to transform local policing, insuring that the police no longer look to Whitehall targets or politicians for direction but instead are listening and acting on the wishes of the public which they serve. What do you think of Elected Police Commissioners? Fancy running a Council for 5 mins? For those of you with an interest in democracy in the Internet age, or just with a few minutes when your bored of facebook click here to have a go on this really interesting and simple application from Cheshire West and Cheshire Council. Critics might say its a gimmick (and question the cost of the application itself) but I'm tempted to think its a rather interesting way of getting the public more involved in decision making. Have and go and let me know what you think. Last week we had hypocrisy from Labour over Tuition Fees. Despite introducing them in the first place and actually commissioning the Browne report which recommended the reforms, Labour decided to score political points and oppose the measure. Today we have news of more Labour Hypocrisy. Maria Eagle, Ed Miliband's shadow transport secretary has now said that Labour may no longer support the £33 billion high speed rail project - despite it being a Labour pet project for years whilst in Government. Any suggestions for what Labour's next Damascus conversion will be? I’m a student at Queen Elizabeth High School in Hexham and I will be part of the first generation of students that will have to pay the new tuition fees. 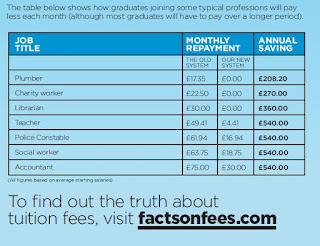 I don’t think tuition fees are perfect, I’m not even sure they are ideal – but they do seem fair. Some one has to pay, and what is fairer; that student’s pay or the tax payer does? As a prospective University student I recognise the benefits it will hopefully bring me in my career – on average around £100,000. 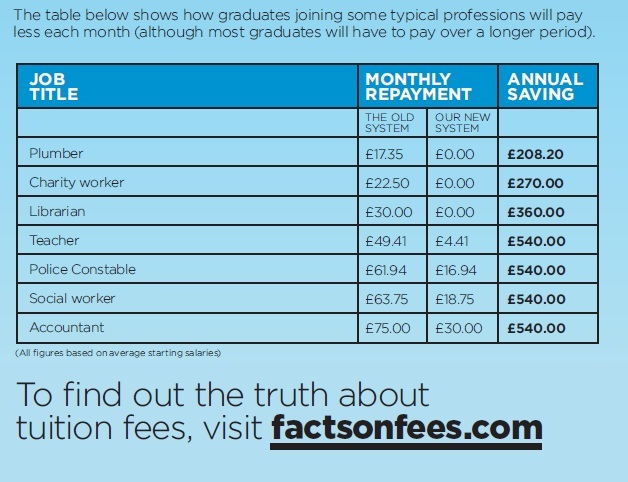 With the proposed plan graduates will not have to pay one penny back until they are earning over £21,000 a year, and then they will be paying back £45 less a month than they do at the present – is that so unfair? Any university which is charging more than £6,000 a year will have to prove that they are taking in increasing numbers of students from disadvantaged backgrounds. That sounds fair to me. £150 million being invested into a National Scholarships Programme to get disadvantaged students into top universities. That sounds fair to me. Would I rather not pay? Sure. But with 45% of us going to university it is not sustainable for the tax payer to cover all students’ fees - and I don’t think it’s unreasonable to ask me to make a contribution. Ed Miliband and Labour have been quick to jump on the band wagon. As a young person interested in politics nothing puts me off more than seeing politicians chasing headlines. This is our future and difficult decisions have to be made. Labour set up the Browne report, yet have no credible alternative of their own. It may be getting Labour good headlines but playing politics with our future is not winning them support with students like me. I've had some really intresting letters, emails and facebook messages about the reforms to Higher Education. The one thing that is worrying me however is that some younger students are being led to believe they need to find 9 grand up front before they can go to University. This is not the case at all. graduate — and then only if you earn over £21,000 a year. linked to how much you’re earning to ensure they’re affordable. Fact: Everyone will have to pay back less each month with our plans. incomes will actually pay back less in total than they currently do. Fact: Parents won’t have to pay any of their children’s fees. graduated and are earning enough to be able to afford it. from disadvantaged backgrounds into top universities. “Broadband access is undoubtedly a hot topic for NFU members. “We recently ran a feature in our in-house magazine British Farmer & Grower on rural broadband, and we also asked for members views. We received responses from all over the country highlighting some of the challenges. Around 40 per cent told us that they couldn’t get broadband at all, while 90 per cent who could access broadband didn’t get a reliable connection. “All respondents to the recent survey said that their business would see ‘some benefit’ or a ‘significant benefit’ from a quicker internet connection, and felt that broadband would be essential for business in the future. “Connecting individual homes and businesses to the hubs is likely to be one challenge. Distance to the nearest hub and the cost of extending the network to individual homes may still prove barriers to broadband access in rural communities but NFU members will be pleased to see coverage addressed by these plans." November was a record breaking month for the blog - an increase of 28% on Ocotber, the number of blog readers now is actually pretty amazing! 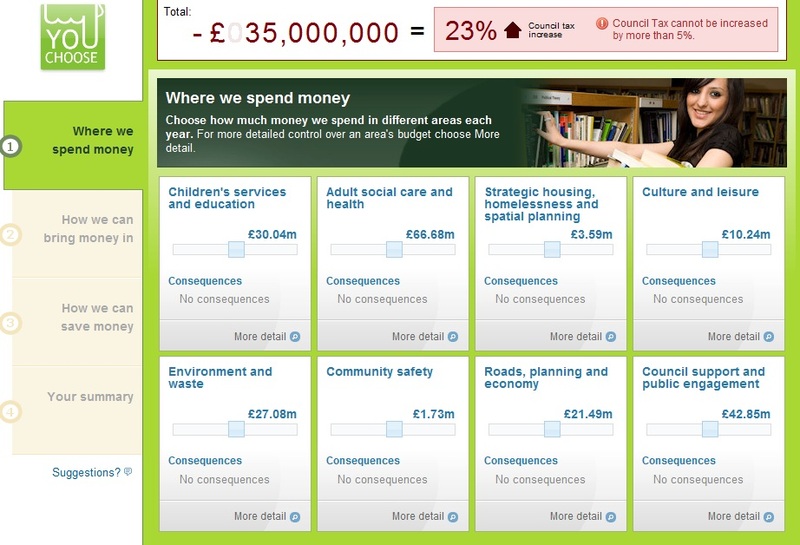 What can we do to improve 'Life Chances' ? Respect Labour MP Frank Field has called for a radical overhaul of early years education. In his report for the coalition's Independent Review of Poverty and Life Chances, Frank has suggested SureStart needs to be refocused back on its original purpose of tackling childhood poverty. Not long ago I was at my local Hexham East SureStart centre where work and support is increasingly focused with families who need it and we need to see more of that. Frank also recommends a radical approach in the way we deal with child poverty. I welcome us looking at how we focus on the poverty trap which is so difficult for children to escape. We must do more than rely on handing out benefits if we are to break this cycle. Nobody should be condemned to poverty because of the circumstances of their early years. Some more good news on our campaign to improve broadband access this morning with the Government announcing it is to spend £830 million which will see the UK have the best broadband network in Europe by 2015. Culture Secretary Jeremy Hunt, has set out an ambitious plan to create a "digital hub" in every community linked to the nearest exchange by high-speed connections. Already more than 70% of UK households have broadband and nearly 50% have access to a super fast 50 Mbps service but we still have a way to go in rural areas which is a cause I'm determined to keep on championing. Rural Affairs Secretary Caroline Spelman has already said rolling out super fast broadband to the countryside is "probably the single most important thing we can do to ensure the sustainability of our rural communities in the 21st century". I'll be doing everything I can to help make that a reality! Finally looks like the snow has passed (for now at least) but road and path conditions are still not great as what snow was left has now become ice. Any specific areas suffering from a lack of gritting etc please do get in touch - we've been able to help out a few areas already. As ever please just remain vigilant and a big thank you to everyone who has been able to struggle through to get into work to keep things moving. Domestic violence is awful. It's an appalling and completely unacceptable crime. The fact that two women a week die at the hands of their partners shames us all. Millions suffer years of abuse in their own homes and we must do more tackle it. I'm pleased to say the is why we are piloting Domestic Violence Protection Orders, allowing the police to step in when the victims are most vulnerable to give them vital space and time which could ultimately save their lives. What do you think of Immigration cap? 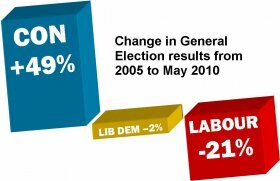 Under Labour, few dispute our immigration system was broken. Migration reached almost 200,000 a year and no body seemed willing to take responsibility. The Coalition is committed to bringing the immigration system under control and reducing net migration to 1990s levels - from hundreds of thousands to tens of thousands. Home Secretary Theresa May announced last week plans to achieve this. Plans which will cover economic visas; student visas and family visas. Many people I talk to on the doorstep want to see this clear rational approach to immigration. I think everyone regonises immigration has a role to play in our economy and indeed society, but also that it needs to be at sustainable levels. Do I think the cap will work? Yes I do. I know the Government has worked closely with businesses and will continue to listen to their feedback and that of the public. Drop me an email at hexham@tory.org and let me know what you think. 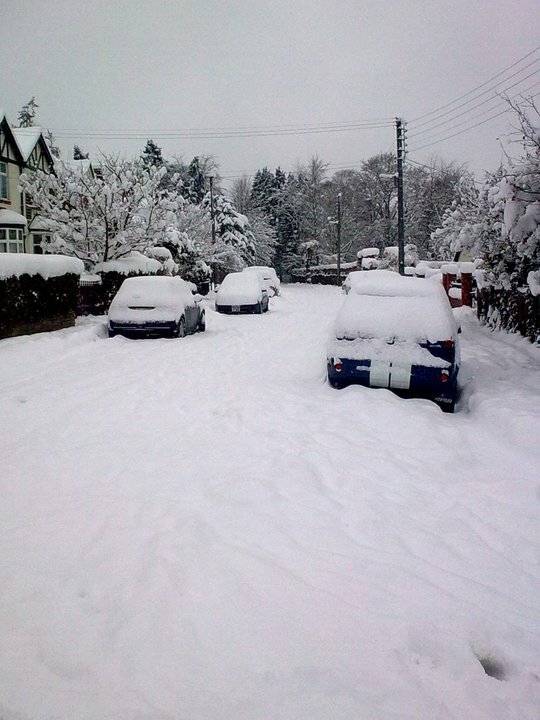 5. and the BBC explains why we get so excited by snow... although I'm not sure excited is quite the word! DEFRA are currently looking at proposals to control bovine tuberculosis in cattle with a cull of badgers. More snow today and more due tommorrow. Please note Berwick upon Tweed St. Mary’s CE CF will be closed Thursday 2nd December due to adverse weather conditions. School closed due to severe weather conditions. Previously announced as open until 8:30 pm when weather became much worse. Closed due to severe weather conditions. School closed due to severe weather conditions. 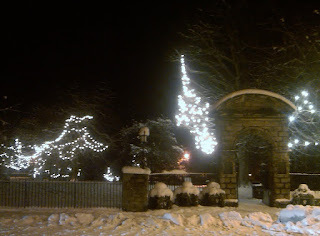 School closed Thursday 2 December 2010 due to adverse weather conditions. Parents should check this website for any further updates. School has closed due to adverse weather conditions. School closed due to the severe weather conditions contractors have been unable to repair the canopies over to pupil entrance. School will be closed on Thursday 2 December 2010 due to adverse weather conditions. School will close today at 2.00 pm and will be closed all day Thursday 2 December 2010. School closed due to severe weather conditions and staff shortages. School will be closed because building work to repair leaks in the roof makes classrooms unsafe for children. A recent report by the Joseph Rowntree Foundation has calculated that a single person needs to earn £15,600 just to get by if they live in a rural town. That increases to £17,900 a year if they live in a village and onto £18,600 if they live in a hamlet or in the remote countryside. 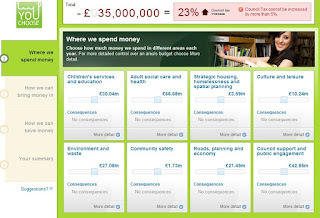 The interesting thing is that a person living in an urban area needs £14,400 a year to meet the minimum. Why the extra cost? It's a variety factors; those in rural areas see thier cost of living hit by having to own a car, higher energy bills from less energy effiecent homes and as we are all too well aware, often forced into using expensive fuels. That means people need to be earning £8.89 an hour just to get buy - well above the average minimum wage. What does this mean for our countryside? Often it means falling roll numbers in schools, it means local people are priced out of the housing market forcing them into urban areas, it can even mean families are faced with making a choice between heating and eating in the Winter months. I'll be looking more in depth at hidden rural poverty over the coming months.